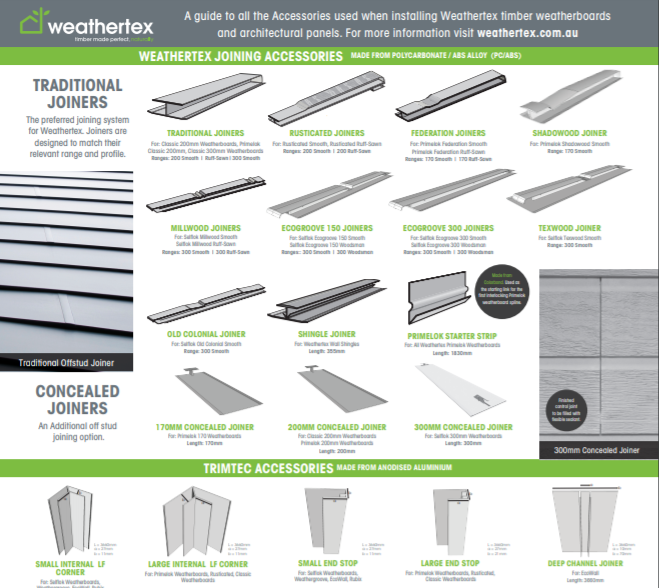 Weathertex joiners are made from Polycarbonate/ ABS Alloy (PC/ABS) and are designed to match their relevant range and profile. They make joining Weathertex cladding easy, while creating a strong join that also allows for timber contraction and expansion. 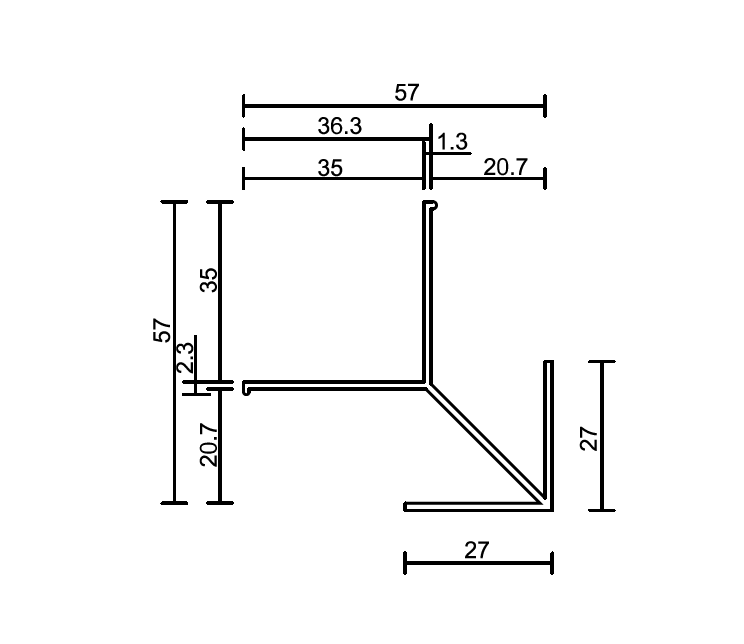 Concealed joiners are a different option that minimises the appearance of the joiner by sitting behind the cladding. Download our Accessories Reference Guide poster to learn about what accessories you need to install what products. Perfect to put on the wall as a handy reference guide! 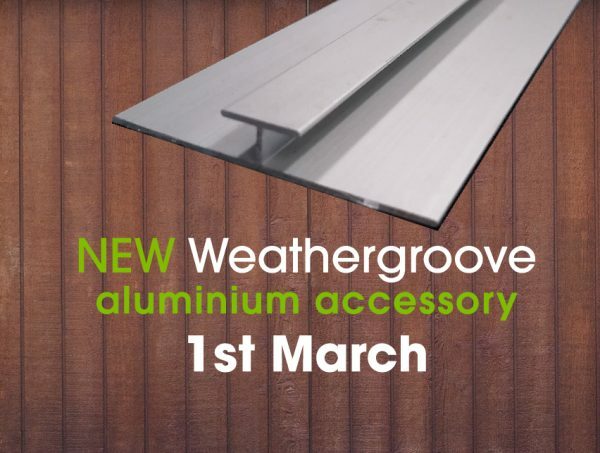 Trimtec accessories are made from anodised aluminium. The Trimtec range includes vertical joiners used for the panel ranges, as well as flashing, end stops, and internal and external corners. The Trimtec range offers strength, durability, and tidy finish to joins and ends. The range can be left silver or powder coated. Weathertex is continually striving to provide our customers with the best timber cladding, weatherboard and panel solutions on the market. As part of our recent developments, we’ve made some improvements to our installation systems.